Disclosure: I have partnered with YMC and Danone and have received compensation for this post. All opinions in the post are my own. 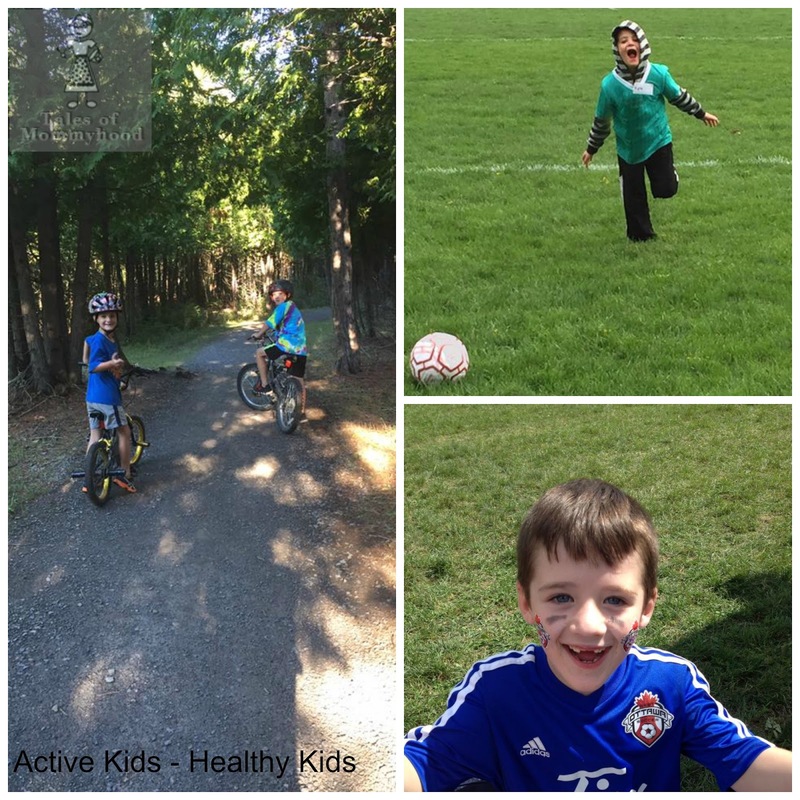 My kids love being active - bike riding, swimming, walking to school, they just really enjoy being on the move. Team sports and organized activities are a big part of children’s lives. Both of my kids have played soccer, and this year Mr. K is playing baseball. Mr. J started playing organized soccer when he was 5 years old. 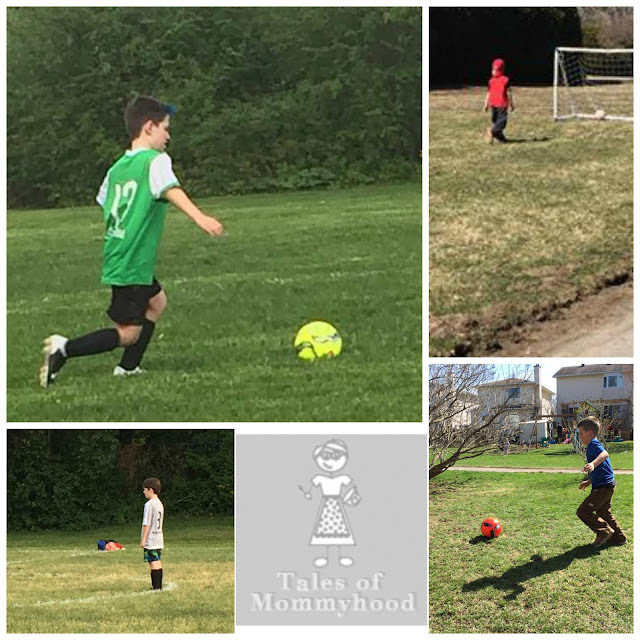 He has always really enjoyed being outside kicking the ball around, whether it is with friends, his brother, his dad (who played soccer well into his late teens, and has now joined an adult league) – or even by himself. 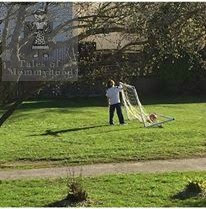 I will often find him in the back alone practicing dribbling the ball and shooting on the net. He tries different kicks, and footwork for when he needs to get past someone. Team sports are a great way to learn some life skills. When you are on a team with many other kids, there are different personalities in the mix. It gives you a chance to learn how to work together and also how to adapt. Coaches all have different styles, and you may mesh better with one style than another – but no matter what, you still have to be able to work with them. 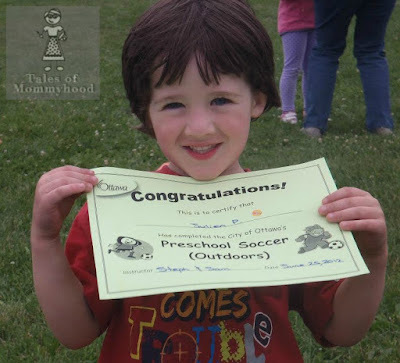 In addition to those life skills and specific skills needed to play the game, soccer gets kids outdoors and active. Danone is all about healthy lifestyles and active families. As Canada’s leading yogurt manufacturer, their mission is to bring health through food to Canadians and to promote overall healthy, active lifestyles. They have been a supporter of Breakfast Clubs of Canada since 1996, and have also been the driving force behind the Danone Nations Cup (the world’s largest soccer tournament for kids age 10-12) since 1999. The Danone Nations Cup isn't just another tournament though. This international competition sees over 32 countries participating every year. This event helps kids realize a dream they may have of representing their country against some of the best young players around the world. Canadian selection camps were held in Ottawa, Toronto, Montreal and Quebec City during April, May and June. The national final will take place July 6th, 2017 in Boucherville, QC. For 2017, a special edition is happening and the selection process has been expanded; Danone is proud to be bringing separate boys and girls teams to the international final. 12 boys and 12 girls will be chosen to represent Canada at the international final in New York. Since its inception, over 65,000 Canadian youth have tried out for Team Canada, and hundreds of them have gone on to represent their country at the international final. Ottawa’s own Kristina Kiss (who just happened to be a grade behind me in high school), former Team Canada player, Olympian and Pan Am medalist, will be head coach for one of the girls’ teams. The boys’ teams will be coached by Dean Howie and Patrick Leduc. It would be so neat to represent Canada at an event like this. I wonder if my kids (or anyone they play soccer with) will ever have the chance. To follow along or stay up to date on the Danone Nations Cup, be sure to follow their Twitter and Facebook accounts. If you think your child would be able to participate, be on the lookout next year when the tryout dates/locations are announced. 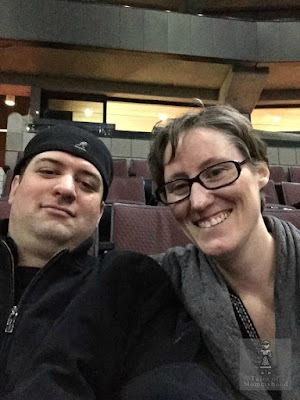 For now, lets all get ready to cheer on the Canadian teams attending this years international finals in New York - Go Canada! What a great tournament. Must be so exciting for the kids who are participating this year. My boys also love organized sports. Mainly hockey and baseball but they want me to sign them up for soccer summer camp. My kids would totally love this! My boys loved soccer when they were younger.